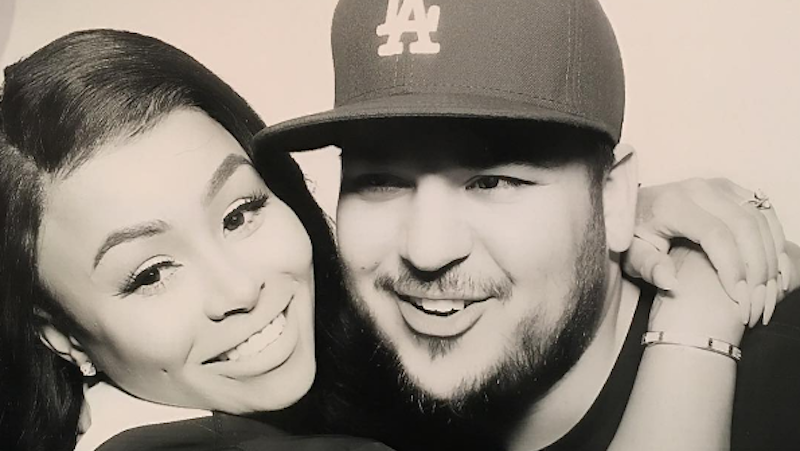 Uh Oh, Rob Kardashian Has Unfollowed Blac Chyna on Instagram, What Does It Mean? Stop the presses. Take a seat. I mean, really, seriously prepare yourself for the news I’m about to deliver: Rob Kardashian has unfollowed Blac Chyna, his fiancée of three months, on Instagram IN ADDITION to deleting all photos from his account including MULTIPLE images of Blac Chyna. Wow. I just want to make sure everyone is on the same page with me here: Rob Kardashian, a man who comes from a family that practically requires hasty relationships that are likely deeply unhealthy but good for ratings, might be sending us a very clear message that things are over between him and Blac Chyna who is pregnant with their daughter, according to the quasi-tabloid of record, People magazine. In addition to Rob’s social media ghosting, Blac Chyna has not posted anything on Instagram in two WHOLE weeks. Her Snapchat, which is often populated with videos of her adorable child and her antics with Rob, has lately consisted mostly of shots of her makeup and clothing lines. You might remember, the high-speed couple has done this before. Back in March, Rob deleted all of his pictures from Instagram and Blac Chyna posted a highly mysterious meme about being welcomed back into the World of Hoe. Shorty after, Rob clarified via Instagram post that he and Chyna had not broken up but wanted to keep more of their relationship private. If you’ll allow me to be so bold, I would offer the suggestions that Blac Chyna and Rob might be a little Ronnie and Sammi from the Jersey Shore (minus the physical and emotional abuse, hopefully). In general, I would not be surprised by any tumultuousness in this relationship, which is probably what we are witnessing. Alternatively, and where I’d put my money, this is all some big ruse cooked up by the only person giving David Miscavige a run for his money, the Dame Kris Jenner, who probably concocted this stunt to jive with some fictional timeline they’re going to push on their upcoming reality show. This would also not be the first time this family has tried to dupe the general public. Only time and some carefully planned tweets/Snapchats/Instagram posts/confirmation from anonymous sources will tell the carefully constructed and probably not complete truth—probably when Rob and Chyna’s show debuts on E! because the joke is always, always on us.